Rotowash machines produce consistently high levels of cleanliness where hygiene is paramount. 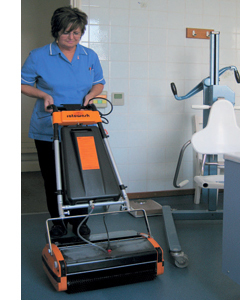 They have been trusted by thousands of users in the public and private health sector to clean lino, wood, concrete, anti-slip, studded rubber, marble, slate, quarry tiles, carpet and many other floor coverings. Rotowash floor cleaners are recommended by Altro, James Halstead, Gerflor, Anker Carpet, Weston Carpets and many other major floor covering manufacturers.